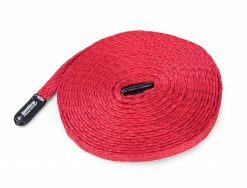 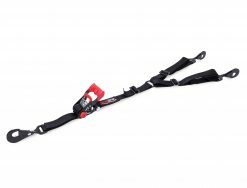 8′ long with a twisted snap hook. 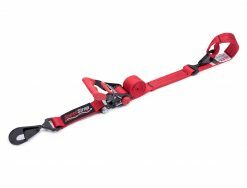 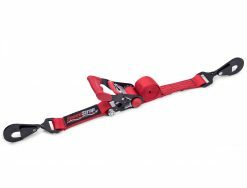 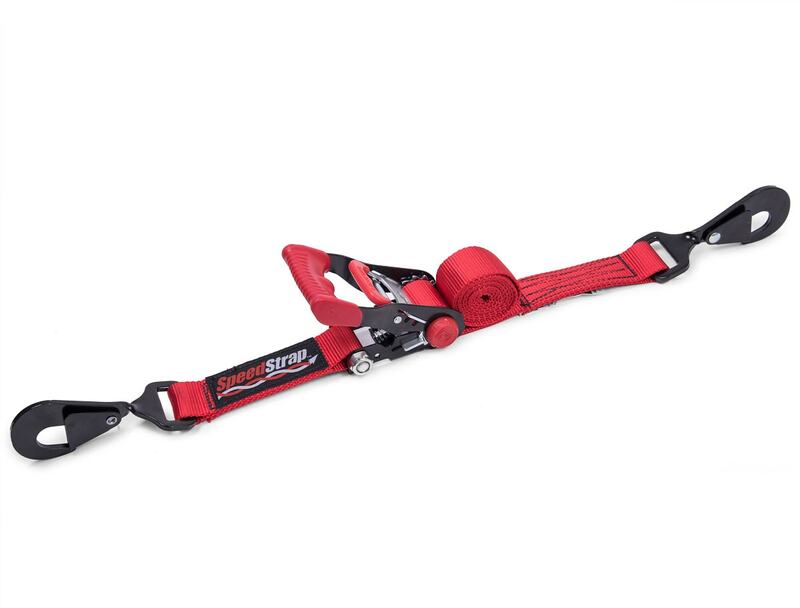 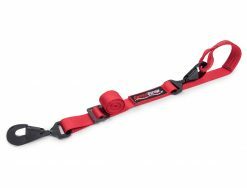 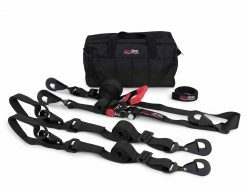 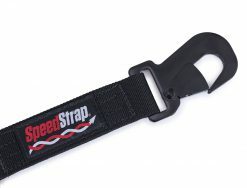 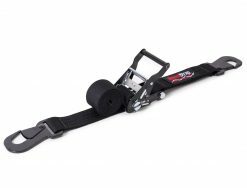 Perfect for your UTV, this ratcheting tie-down features a wide handle with a molded cushion grip which allows for comfort and good leverage during use. 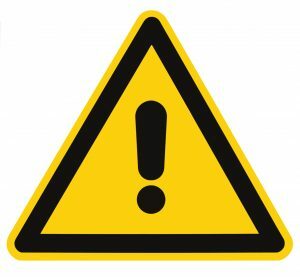 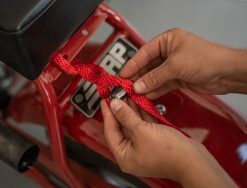 Caps on the ends of the barrels prevent damage to your vehicle. 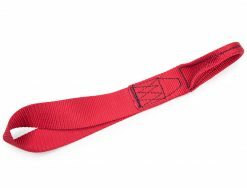 The coated release lever also acts as a locking mechanism once you have your tie down secured. 4,000 lb maximum rated capacity and a 1,333 lb safe working load. 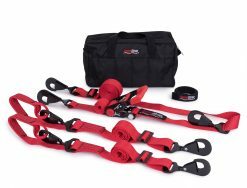 Available in black or red.